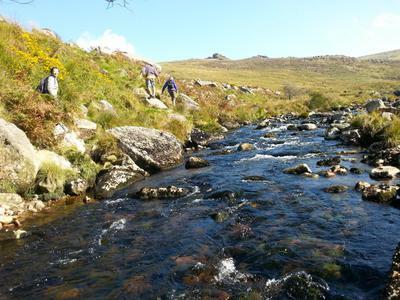 The Tavy Cleave is a very pretty river valley located in the Dartmoor National Park, UK. 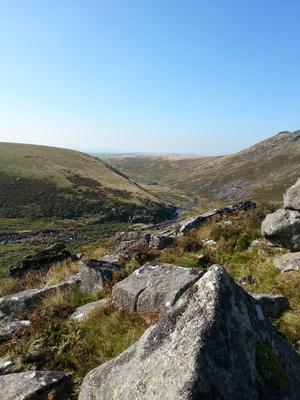 It's remote location makes walking there a pleasure, and the further one gets down the valley, the more nature dominates the emptiness of this wonderful space. A rare treat in this increasingly 'man-made island'. 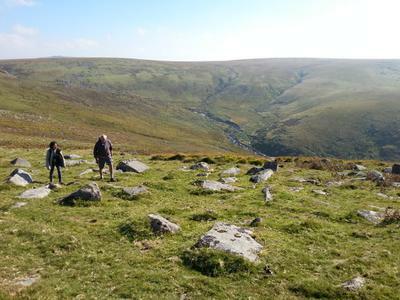 In the late Iron Age this valley was home to many communities, and the remains of their dwellings can be seen in the geometrically cut stones and the patterns they make on the hillsides. These stones would normally be recycled for building material by the locals but in this remote area, they have laid there untouched by anything other than the weather. No better place to sit, listen to nature, and perhaps wonder why the mind is normally so full of spurious chatter. A little moment of 'Tavy Cleave therapy'.